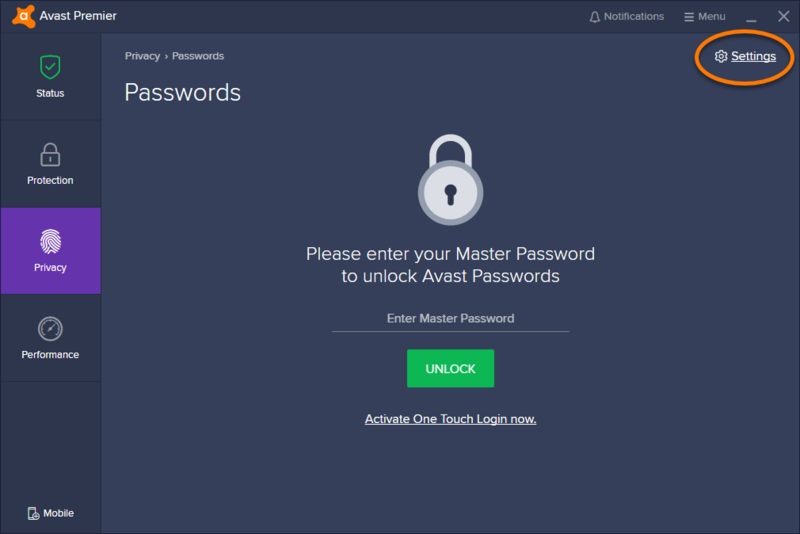 Avast Passwords protects your passwords and sensitive data with a single Master Password that you create. If you forget your Master Password, no one can access or recover the data stored in Passwords nor reset the Master Password. 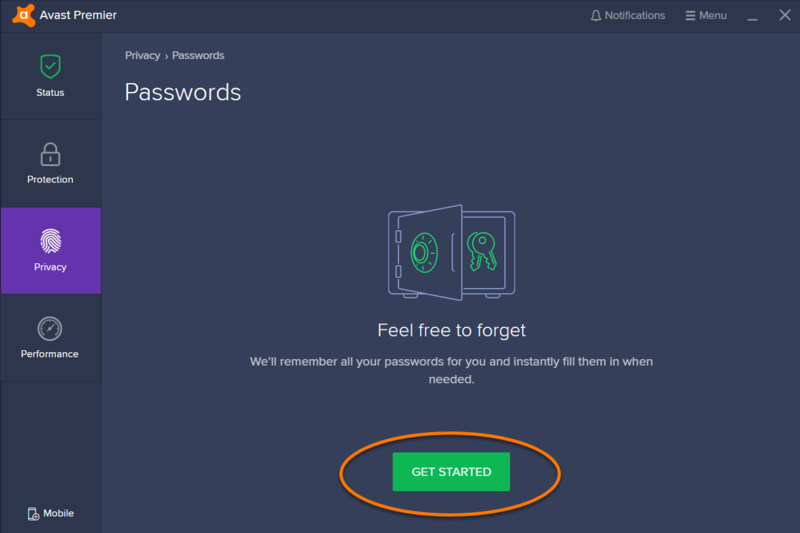 Resetting Passwords irreversibly deletes all your stored data and allows you to start over. When prompted to enter your Master Password, click Settings in the top-right corner of the Passwords screen. 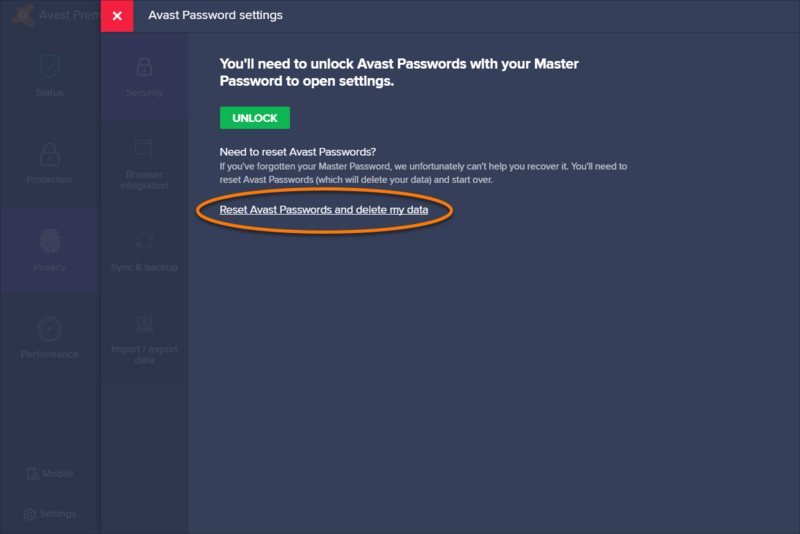 Click Reset Avast Passwords and delete my data on the Avast Passwords settings screen. Click Delete to confirm and return to the Passwords screen. Click Get Started to start over. 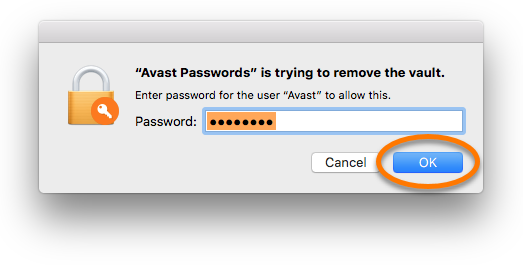 Go to Finder ▸ Applications on your Mac, then double-click the Avast Passwords icon to open the application. 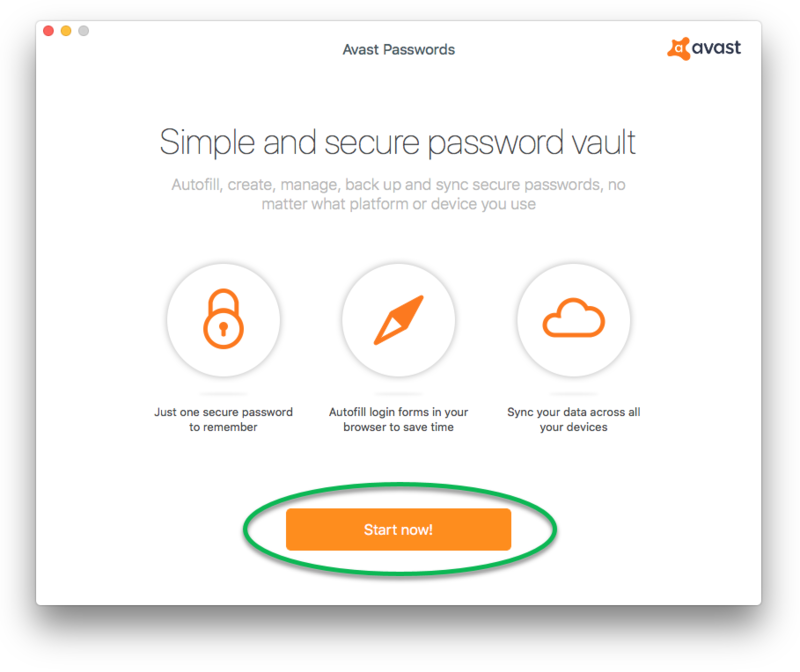 When prompted to enter your Master Password, click Avast Passwords in the menu bar and select Remove vault. Click Remove in the confirmation dialog that appears. 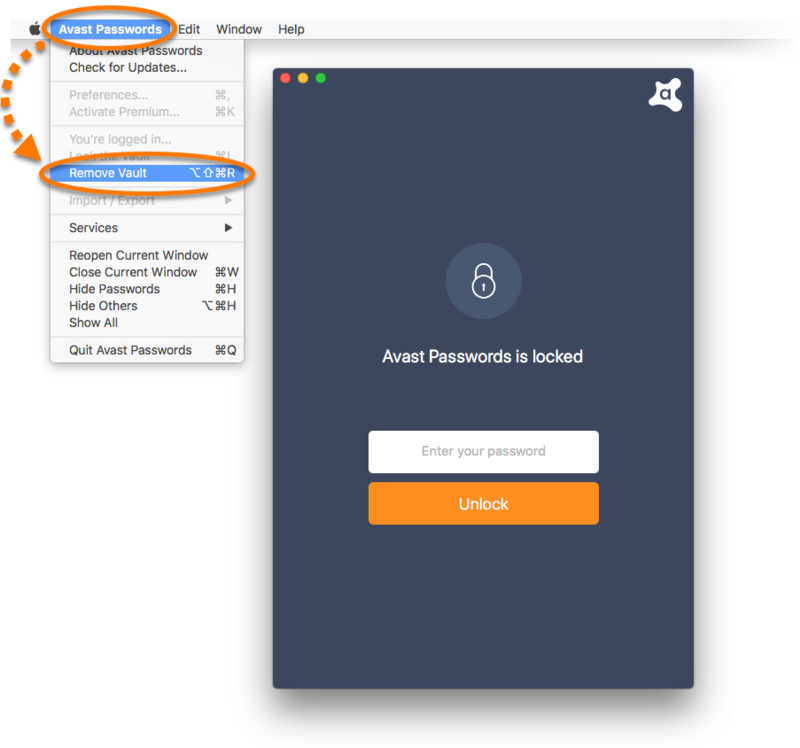 Enter your Mac account password and click OK.
Click Start now! to start over. When prompted to enter your Master Password, tap the ⋮ menu icon (three dots) in the top-right corner of the screen, then select Forgot password?. Select Delete Vault on the next screen. Tap Delete in the confirmation dialog that appears. 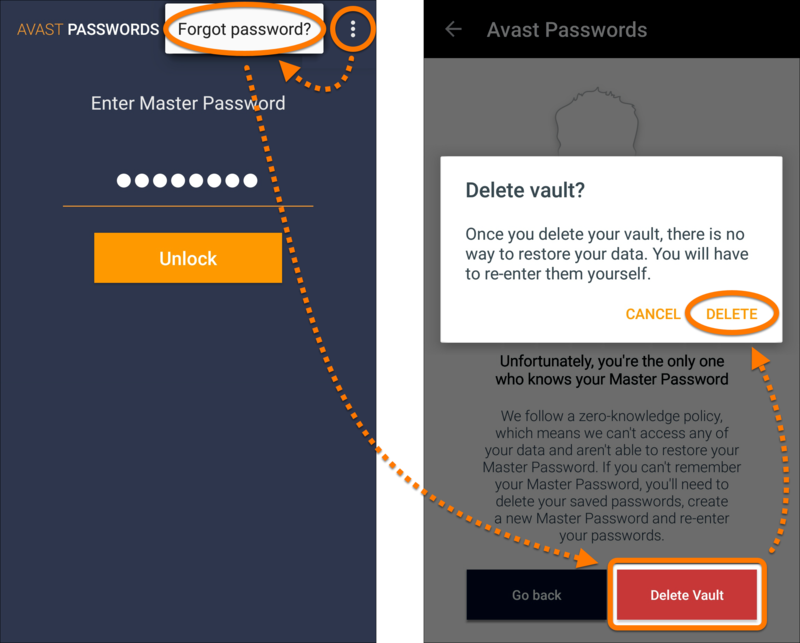 Avast Passwords on iOS allows you to start over after reinstalling the app. 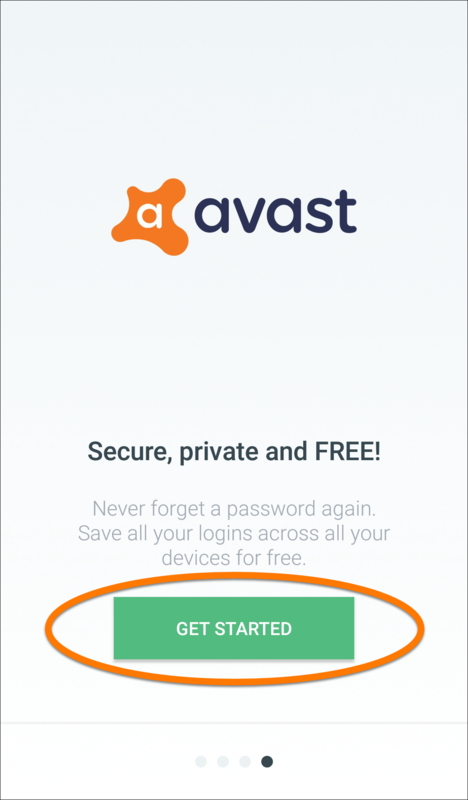 Tap and hold the Avast Passwords icon on the main screen of your device. 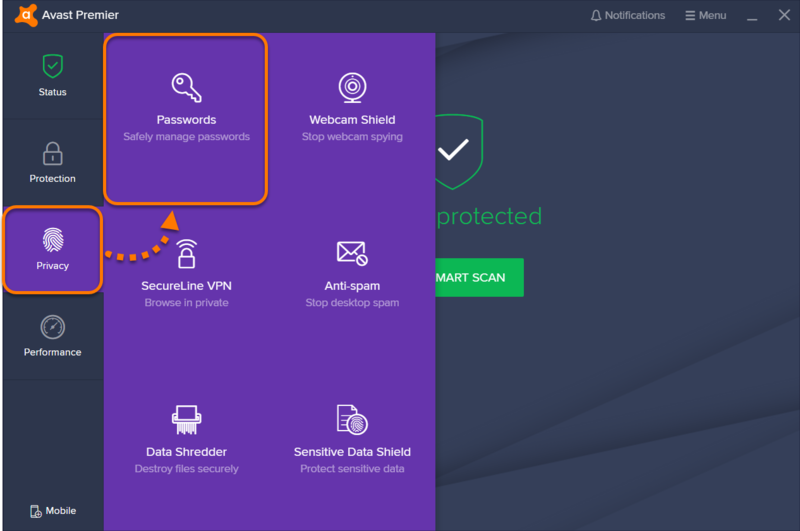 Open Avast Passwords from the search results. Once the installation is complete, tap Open to start over.